This 9 ways to ensure quality content on your webiste may contain affiliate links. These help us to earn a little commission so we can continue bringing you good content. continue if you agree with that. See our disclosure and disclimer page for more details. You’ve no doubt heard this. This means that there is someone above the king. So it is with content. 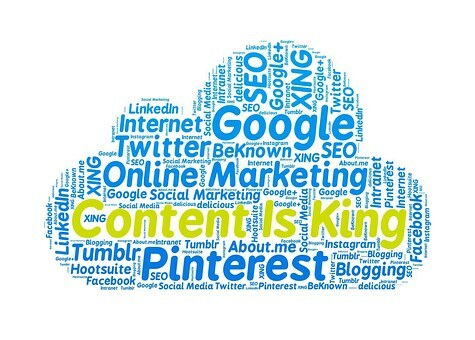 If content is king, then quality content is superior to the king. Therefore it is worth your while. Quality content is the one which is valuable, informs, and educates. It also entertains and helps your visitors solve problems. Moreover, such a content boosts the SEO rankings of your pages and website with the search engines. By getting your website better exposure, this translates into more traffic and/or leads and/or sales. Quality content will also retain your website visitors longer on your site. It will get them to interact with it in the way of comments, likes and shares. So, how do you go about getting quality content for your website? 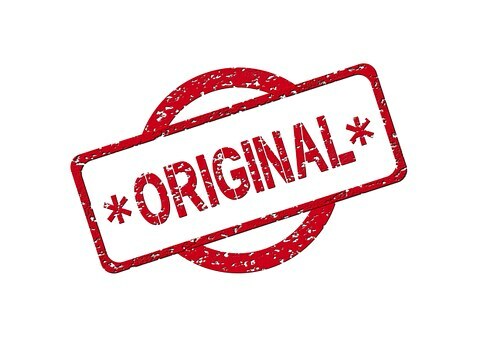 Anything original is the one which is new, unusual or different, the one from which a copy is made. It is also creative, individual or inventive in thought or action. Moreover, it is distinct from a copy or imitation. It is not derived from another one. I think that is what original content is also. As you see, original content can only come from fresh ideas. That’s why rehashing other people’s posts cannot assure originality. Outsourcing to cheap content writers to write filler content isn’t either. The last is collecting articles from around the web to re-post them, even with permission. I’m not saying this is bad, like the others. It’s not original. The definition in this section says so. The search engines like original content. They index them. And serve them to people searching online. These alone are enough for you to strive for quality content. The headline is the first part of your content somebody perusing a Search Engine Results Page or skimming through your website posts sees. This is what sparks the visitor’s interest and curiosity and goads them to read on. You have only seconds to grab their attention. If your headline doesn’t give the reader a good first impression of your article, goodbye baby. For, like all first impressions, you may not have the opportunity to make another. According to great statistics from Copyblogger, while 80% of visitors will read your headlines, only 20% of them will continue to the rest of your content. Seeing how much headlines could make you lose potential readers, it is in your interest to give as much thought to them as to the rest of your articles. For each article you write, it’s advisable to have a few headlines and then select the one which sounds best. Even better, submit your sample headlines to someone whose opinion you trust. Then ask them what they think each headline will be talking about. I think this is a good exercise. For your headline may attract people to read your article. But if just the introduction doesn’t show them what the headline promised, see you later. Actionable content is the one which gives cause for taking action. What does your content make the reader take away? Yes, the takeaway, that’s the thing. People are looking to take steps regarding particular situations confronting them. Unlike fiction or most newspaper articles, website visitors read your content to look for the manner of acting or operating something. Therefore your content must give them a sense of how to apply the information to a dilemma they face. You may not have to state the obvious. Just writing clearly may be all a visitor needs to learn to do something better. 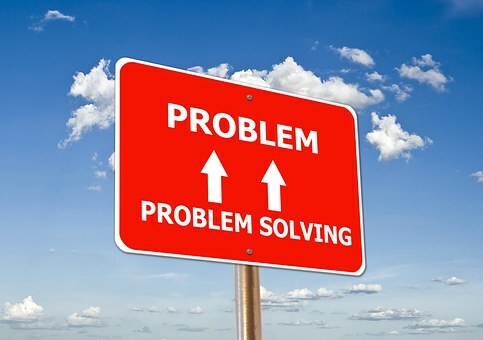 When people need answers to problems, they query the search engines. These then return website content which they think are possible answers to those problems. What is the implication for you? Your content, either covertly or overtly, must provide answers to problems your readers have. So that they may gain knowledge to solve them. The same way the search engines return quick answers to searchers queries, your content must also be easy to scan. This will make people grab your suggestions quickly. So that they don’t get impatient and then angry and click themselves out of your website. That is a possible repeat visitor lost, you know. Sprinkling your content with sources and statistics is awesome. Better still, they must be credible and verifiable. So link right to the source or the statistics. Link only to trusted and authoritative sources, for they help build trust with your readers. Link to as many sources as possible, for in this case, more is better. Link to help the search engines out. Links help them figure out what your content is about. And also how it should be categorized. Engaging means that which is charming, attractive, or interesting. An engaging content therefore is the one which holds visitors spellbound. But how do you write an engaging content? Providing a great introduction: After the headline pulls a reader into your content, the first few sentences lets them decide if it’s up to the expectation created by the headline and therefore worth spending time on. The introduction is where you tell the reader what you’ll be discussing in the content. There are millions of websites out there offering the same or similar content as yours. The offer is too numerous and the competition therefore too keen for you to expect that people will linger on yours trying to fathom what you’re about. They won’t as sirens are beckoning them elsewhere. Asking questions: Including questions in your content makes readers ponder over them, even long after they have read the piece. Using anecdotes and stories: A short account of an entertaining or interesting incident as an introduction is a great way to anchor readers in a story. Weaving a story into your content introduces a human element which is often touching and unforgettable. When your content engages visitors, they comment on it. This kind of updates the content and the search engines pick it up. One of the things a newly successful blogger said he loves are the comments visitors make on his posts. He says these update his blog and saves him the obligation of providing constant content. 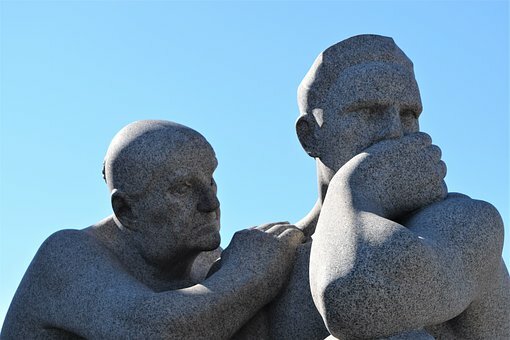 When your content is thought-provoking, your visitors reflect upon it long after reading it. This way you endear yourself to them. What made the newspaper more engaging than the ordinary conversation? What makes the radio more appealing than the newspaper? What renders the television more interesting than the radio? So ally sound and image and you have a winner: video. Moreover, people have different faculties for imbibing information. While all learn by reading, some do better by hearing, and yet others by seeing. So use pictures, videos, or diagrams to illustrate the points in your content. People hate to read blocks of text. The first time my elder brother gave me a novel to read, I skimmed through it from beginning to end. And made a face when I didn’t see any images or illustrations. Don’t make your content so daunting for your readers. Epic content is often seen as the one which is long. But your content doesn’t necessarily have to be long to be better. Nothing beats a brief, to-the-point content that conveys the needed information. Don’t beat about the bush, go straight to the point. Do you remember this proverb? Can you imagine how boring it will be to eat the same meal morning, afternoon and evening? Over and over again? That’s the same feeling your website visitors will have if they come to see the same old content on your website. As variety is the spice of life, they even wouldn’t try to read it. In the same way variety of content is the magnet and lifeblood of your website. That keeps your readers happy and makes them keep come back for more. Also the search engines rank sites that are regularly updated. Their job is to ensure a good user experience. Fresh content is one of the criteria. So develop a regular writing schedule and make the effort to stick to it. At least, add something to your website twice a week. As Nike says, “Just Do It”! That’s what will provide your visitors fresh useful content and let them recommend your website to others. That’s it, the 9 ingredients to make your website content a quality one. Bonus point: Do you want to add eBook creation to your content efforts? Check it here. There are more out there. Which ones do you know which I didn’t talk about here? Tell us about them in the comment box below. It may even spark ideas for another article, who knows? So, thanks for your contribution.